This project, commissioned by a 90 year old man Joe Williams who is a very proud ex-bomber command rear gunner during World War II. 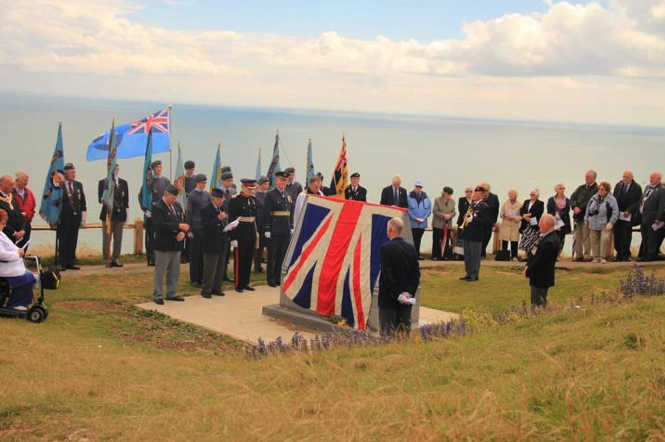 Joe's vision was to have a memorial sited at the very spot where the last siting of UK land was seen when flying out to sea during the war, and for some, never returning, this being Beachy Head. In order to achieve this, the memorial which was to be sited on protected land, which could not be walked on, meant the only way to get the monument to its chosen destination was by air, and the RAF Chinook crew took to assisting in the task. A fitting tribute to unveiling the monument was held a weeks later, what a spectacular turn out. A very proud honourable Joe and an even more proud mason, what a day!